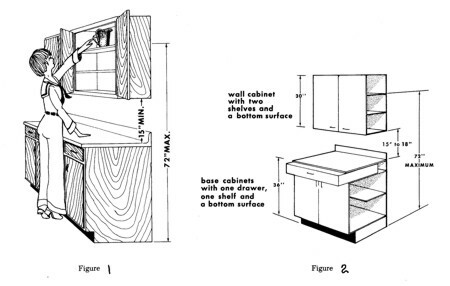 Your kitchen planner or designer has been schooled in looking out for clearances and work area needs when planning your kitchen. 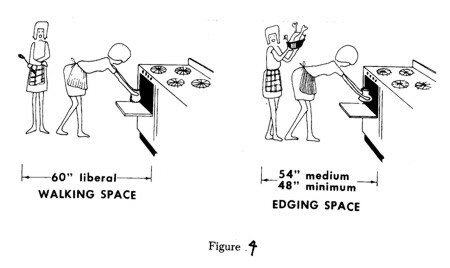 Even if you are planning on using the same footprint for your kitchen, we look for ways to improve it. 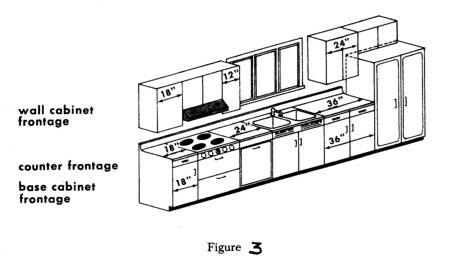 These clearances and work areas make your kitchen work more efficiently. 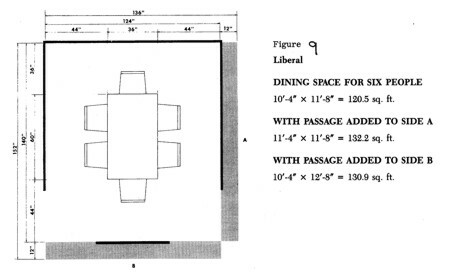 Even though these clearances are not absolute, they have been well thought out and work very well in most cases. One could talk for quite a while about this, but I feel illustrations work best. 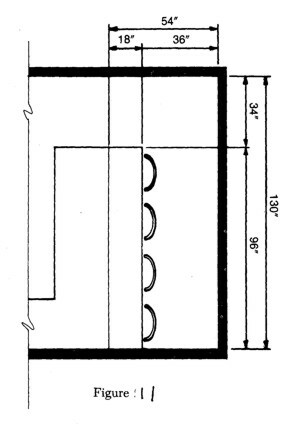 Figures 1 & 2 above show the height considerations that we look for. 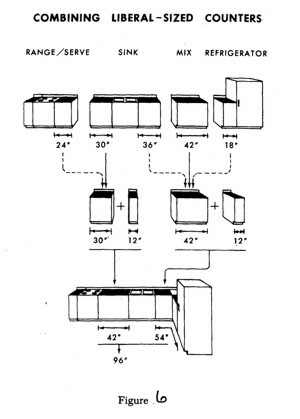 Figures 3, 4, 5 & 6 show cabinet and counter top minimum and liberal sizes and or combinations need to make a kitchen plan work well. 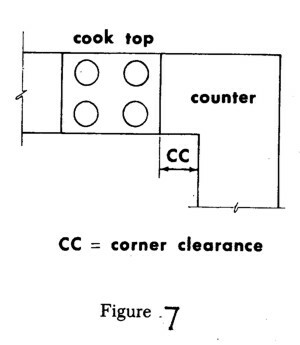 Figure 7 shows the space needed (counter clearance of between 9” to 12”) to work well with sink or range close to the corner. 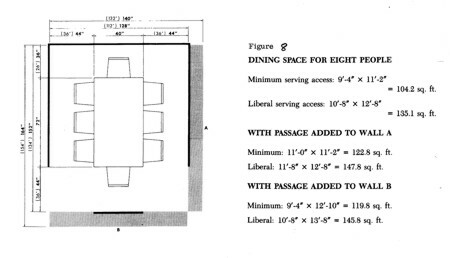 Figures 8, 9, 10 & 11 show some spacing to think about when thinking about seating, whether it be at a table, island or peninsula in close proximity to wall(s). 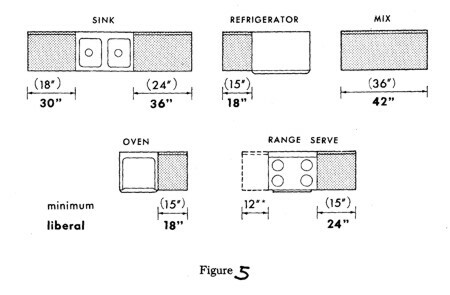 These are not all the illustrations I could provide, but just a few, so you can see a few of the things we think about, when planning your new (or current) kitchen. We do not just put boxes up on a wall to fill space. We try to make it as perfect as we can, given the space (and budget) we have to work with. 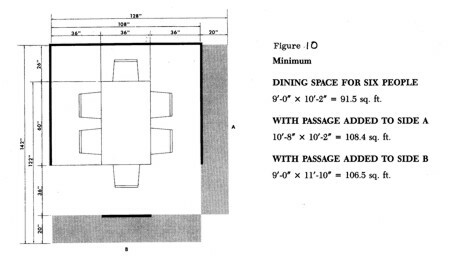 At the end of the day, you will decide that you want (we can only advise) items closer together or that you are comfortable with less spacing between items to make the kitchen work the way you need and want, and that is OK. Your designer/planner is just trying to get you the most they can in the space given with the most comfort.